If you went to Wynwood Artwalk last Saturday you probably got to try the brand new release from Duvel, the Duvel Single draft. A few galleries in Wynwood and the Design District were giving away samples of this easy drinking new version of the classic Duvel style. If you did get to try it you are probably wondering where you can get more? Since the beer is only available in 6 locations in Miami at the moment you may want to make your way to Wynwood Kitchen this Thursday, August 16th at 7:30pm and try it along with some other offerings from Duvel sister brewery in the US, Ommegang. 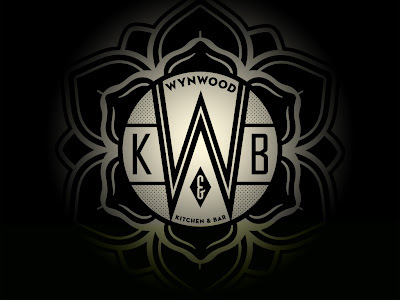 This four course beer dinner is the first of its kind in Miami and paired up with the excellent food at Wynwood Kitchen is sure to be a memorable evening. The dinner, priced at $65 per person (including tax and gratuity) will feature four sumptuous courses of Global-Latino cuisine by executive chef Miguel Aguilar. Each course will be paired with one of the tasty craft beers that have earned rave reviews and accolades for both breweries. The dinner begins promptly at 7:30 p.m.; seating is limited, advance reservations required. Call 305-722-8959 to RSVP today! Check out the delicious menu below! First Course - Shrimp crudo with torta de arroz, salsa verde and piickled jalapenos. Second Course - Mache with rainier cherries, toasted almonds, manchego cheese, and citrus vinaigrette. Third Course - Marinated duck breast with duck confit, cabbage hash, mustard cream and duck prosciutto. Paired with Ommegang Three Philosophers. Fourth Course - Molten chocolate cake with cinnamon, ancho and dulce de leche ice cream. Paired with Ommegang Abbey Ale.